I buy organic and natural products when I can, because over the years I have learned a lot about their benefits, and I’ve read some horror stories about conventional products. I’m pretty certain that some serious health problems I’ve experienced were brought on at least in part by things like chemicals and hormones in our food. As a mom, I would like to prevent the same types of damage in my child if possible. Organic milk (and other dairy products) and meat are pretty high on the list, because of the added antibiotics and growth hormones. Admittedly, I don’t buy as much organic produce as I should. Often it’s because I’m just not happy with the appearance of organic fruits and vegetables in conventional stores. At the same time, I hate to think of the gross pesticide residues we’re ingesting. On the other hand, I sympathize with the argument that organic items nearly always cost more. People with limited grocery budgets (myself included) must often make sacrifices, or pick and choose among organic versus non-organic products. Even if you know which ones are better for you, that doesn’t mean you can afford the best choices. Unfortunately, obesity and other health problems can be blamed, in large part, on the cheaply-produced processed foods that are so easily accessible to us. Fortunately, there has been a demand by consumers, especially parents, for better access to organic products. Along with that push has come the availability of coupons to offset some costs. Now, you might not be as “extreme” as some couponers, but it never hurts to save a few pennies here and there on items that you use regularly. But where do you find such coupons? The majority of manufacturers’ and store coupons are for unhealthy processed items. Mambo Sprouts is a pretty comprehensive site with coupons, recipes, product reviews and more. Organicdeals.com offers coupons and lists store specials. Stores such as Whole Foods and Trader Joe’s, located throughout the US. Most regular supermarkets, as well as independent natural food markets, now have websites. Around here, the major stores include ShopRite, Stop & Shop, and Target, all of which list online specials and offer store coupons. Manufacturer’s coupons. You can go directly to many product websites or look in coupon flyers. Stonyfield Farms is just one company that has good offers. A final tip: To find other discounts and frugal living ideas, follow companies online via Twitter for coupon updates and special offers, and search for coupons and frugal tips written by other bloggers. Your turn! 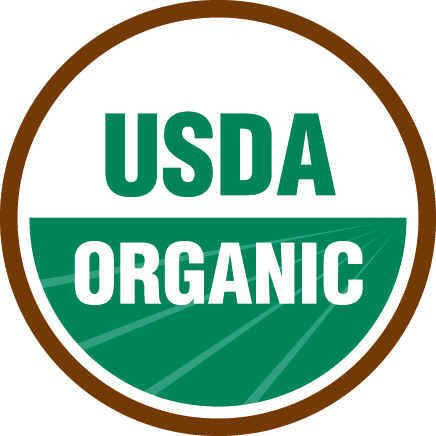 Is buying organic products important to you? Do you have additional tips for finding good deals? Share with us in the comments. « On this Mother’s Day, can we agree we’re all “Mom Enough”? Great post!! I fully agree, it I were raising my children now, organic milk and meat would also be HIGH on mylist. I have seen what the effects of the hormones added to milk have done to my 5-11y.o. grandchildren have been, especially the females. Very sad, but the reality that the cost is often prohibitive on most families and you just do what it takes to get by. Thanks for your post!! Patricia, I make sure to buy hormone-free milk! And I’ve recently given up most red meat, but I’m making exceptions for grass-fed, hormone-free, more “natural” meats even though they’re more expensive (I just won’t eat it that much, and that’s ok!). It’s a shame that the better foods are more expensive. And they wonder why people are less healthy nowadays!